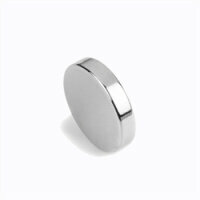 ﻿ Power magnet, Disc 30x10 mm. | The price is only EUR 12,00! 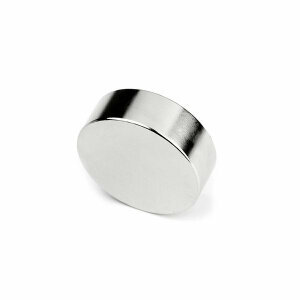 Power magnet, Disc 30x10 mm. Despite of this magnet only is 30x10 mm, the strength is 20 kg. in a direct pull. These strong magnets can be used on all magnetic surfaces, but we don't recommend them for glass boards because incaution use can ruin the magnet and glass board. It's important to have some knowledge about these strong magnets before you use them. They are not toys! Read more about neodymium magnets here. 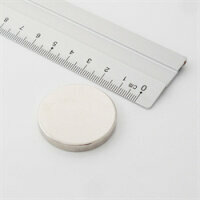 Related products to Power magnet, Disc 30x10 mm. Power magnets, Disc 20x10 mm. 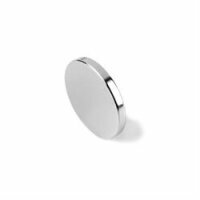 Power magnets, Disc 20x2 mm. Power magnets, Disc 25x3 mm. 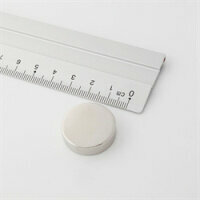 Power magnets, Disc 25x7 mm.